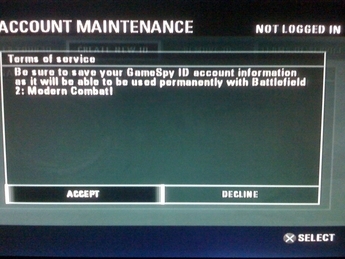 After quite a bit of tweaking by myself, GameSpy ID account creation is now back online for Battlefield 2: Modern Combat for PS2! 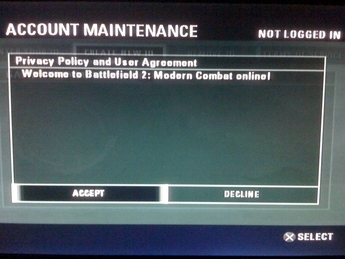 As many of us know, Battlefield 2: Modern Combat for PS2 remains online, maintained by GameSpy. A few years ago, it seems that EA removed any BF2:MC related content from their servers. This included a Terms of Service agreement that is required for creating a new GameSpy ID, as the file must be downloaded and viewed in-game before creating an account. 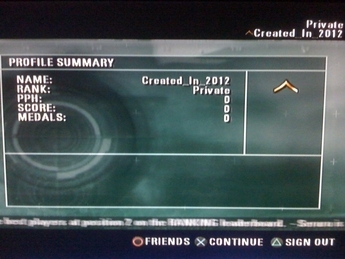 What I have done is reproduced these files so that players are seamlessly able to create a new GameSpy ID for Battlefield 2: Modern Combat online! NOTE: Using this DNS configuration is NOT required for online play. You will only need to connect to this server if you would like to create a new GameSpy ID account. After you create and save your account information, you may connect online normally and play with your new account(s)! 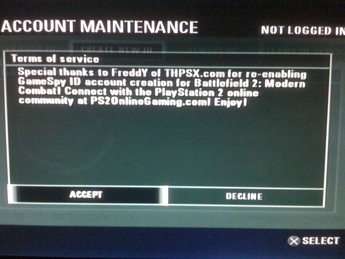 Special thanks to FreddY for re-enabling GameSpy ID account creation for Battlefield 2: Modern Combat.